Since the beginning, Dr. Rath and his research team have placed strong emphasis on clinical research. As a result, for the first time in medicine we have provided the clinical documentation that a natural supplement program can stop progression and even reverse calcified coronary deposits. It was our extensive research focus that set an example for many other nutrition-oriented companies to understand the importance of clinical research and clinical studies in documenting the effectiveness of natural health. Our clinical studies have confirmed the effectiveness and health benefits of specifically designed nutrient synergy programs in various aspects of health. Clinical research is an imperative part of our continuous scientific endeavor and mission to improve human health worldwide by optimizing the use of vitamins, and other natural substances in enhancing cellular metabolism and optimum function of the body. What Are Clinical Studies? What Are Clinical Studies? Clinical trials are research studies in which researchers and doctors answer specific questions regarding the health effects of new therapies or new ways of using existing treatments to determine their safety and efficacy. Carefully conducted clinical trials are the fastest and safest ways to find solutions for many health problems. Clinical trials are usually complicated, occur in a few phases, and are very costly. What is a clinical study protocol? What is a clinical study protocol? 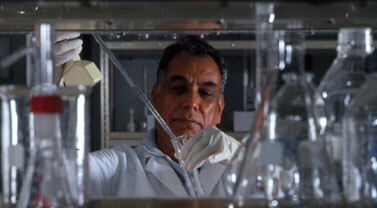 A clinical study protocol is a carefully designed study plan on which a clinical trial is based. It describes what types of patients may participate in a trial, the schedule of tests, procedures, medications and dosages, and the length of the study. A study protocol safeguards the health of the participants as well as answers very specific research questions. How are clinical trials conducted? How are clinical trials conducted? There are several phases of clinical trials that have been developed specifically for testing pharmaceutical drugs. Each trial phase sets up different objectives and vary in duration. The primary objective of a Phase I trial is to define the safety of a new drug or treatment, and identify side effects and proper dosing of a drug. A Phase I trial usually enrolls a small group of patients (20-80). A Phase II trial provides information about benefit, effectiveness and safety of a new drug or treatment. Phase II trials may focus on particular health aspects in certain diseases and are conducted with a larger group of patients (100-300). Phase III trials further test the effectiveness of a new drug or procedure and compare it with the current standard therapy. They typically involve large groups of patients (1,000-3,000) from clinics and medical centers nationwide. What Are Pilot Studies?What Are Pilot Studies? What Are Double-Blind Placebo-Controlled Studies?What Are Double-Blind Placebo-Controlled Studies? A placebo-controlled study is a method of investigating a drug/treatment in which an inactive substance (the placebo) is given to one group of participants, while the substance which is being tested is given to another group. The results obtained in the two groups are then compared to see if the investigational treatment is more effective in treating the condition. A placebo is an identical looking pill or powder that has no treatment value (i.e., a “sugar” pill). What is a Randomized Controlled trial?What is a Randomized Controlled trial? Randomized means assigned by chance. In a randomized controlled trial the patients are indiscriminately assigned to two groups; one receiving the new treatment/drug, and the other receiving the placebo. Neither a patient nor a physician chooses who receives the new treatment or the placebo. Statistical significance: Statistical analysis is used in clinical trials to gather relevant information about the chance that a specific outcome observed in a selected number of patients (a trial sample) can be repeated when a large number of people (the target population) will follow the same procedure or treatment. These analyses require that the research questions be translated into numerical values that describe these relationships. In clinical trials, the level of statistical significance is determined by experts in the field and depends on the number of participants studied (the more patients involved the more reliable the result) and the observations made, as well as the magnitude of differences observed. Who sponsors clinical trials?Who sponsors clinical trials? Clinical trials are very costly and are usually sponsored by the pharmaceutical industry, large organizations or even individuals, and such sponsorship often involves bias related to the interpretation of the data or the objectives of the study. Contrary to pharmaceutical drugs, which are chemical molecules that are toxic to the body, vitamins and nutritional supplements are natural components of food and are safe. They belong to a so called GRASS category (Generally Referred As Safe Substances), and therefore the FDA does not require their clinical testing.